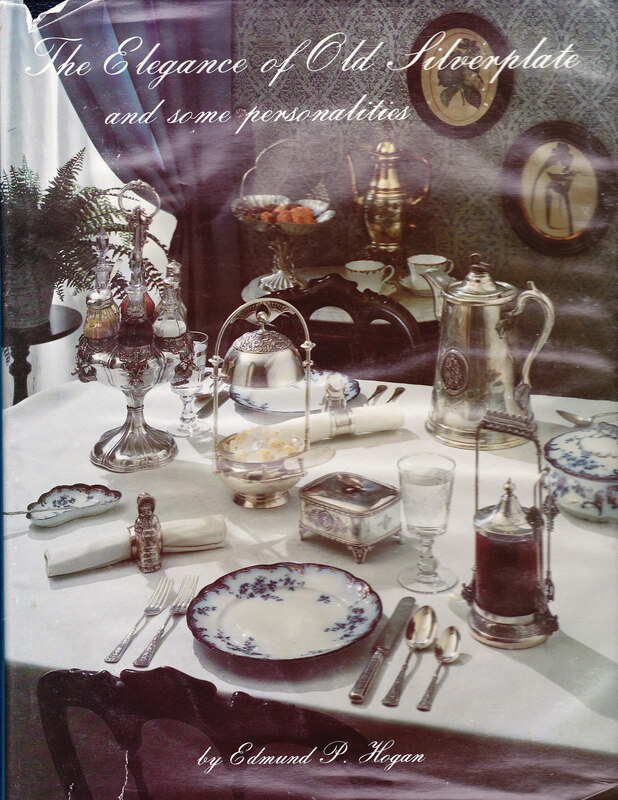 The Elegance of Old Silverplate and Some Personalities by Edmund P. Hogan, Schiffer Publishing, 1980. Hardbound, 189 pages. Descriptions of many tablewares such as napkin rings, butter dishes, pickle casters, and a special section on the Vintage flatware pattern. Many black and white photographs, reproductions of old catalog pages. 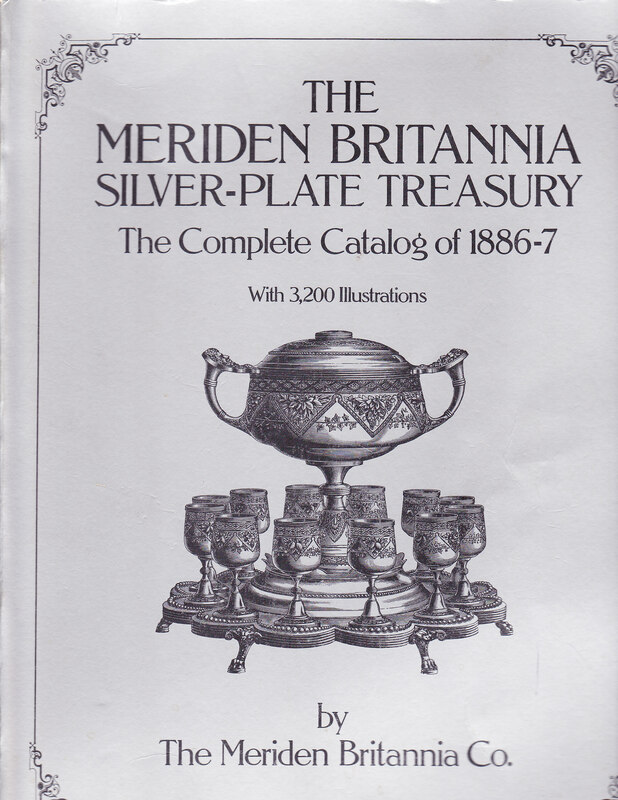 The Meriden Britannia Silver-Plate Treasury: The Complete Catalog of 1886-7 by The Meriden Britannia Co., with a new introduction by Edmund P. Hogan, Dover Publications: 1982 [out of print]. Large format paperback, 450 pages. Super reproduction of woodcut catalog showing everything offered by the company which founded International Silver. Both hollowware and flatware. Silver Flatware Dictionary by Richard Osterberg and Betty Smith, A. S. Barnes & Co.: 1981. All about those odd place and serving pieces and what they were or could be used for. Excellent black and white photographs, measurements. Applies to both sterling and silverplate. Sterling Silver Flatware for Dining Elegance by Richard Osterberg, Schiffer Publishing Ltd.: 19 94. Hardbound, large format, 204 312 pages. Clear black and white photographs of place pieces and serving pieces by type, with measurements. Price guide and indexes. Victorian Silver: Plated & Sterling Hollow and Flatware by Larry Freeman, Century House: 1967. Hardbound, 400 pages. History of Victorian silver, mostly given over to reproductions of old catalog pages and period illustrations. American Silver Flatware 1938-1910 by Noel D. Turner, A. S. Barnes & Company: 1972. Hardbound, 473 pages. Excellent guide for identifying older patterns in either sterling or silverplate. Also covers technology, marketing, place and serving pieces. Black and white illustrations show patterns. Appendices include marks, pattern indexes, glossary, bibliography. Intermittently reprinted — buy it if you find it. Charter Oak Flatware and Hollowware by Nancy Gluck, Silver Season, 2001. Spiral bound, 97 pages. Lists, describes and illustrates all known flatware pieces in the Charter Oak silverplate pattern by 1847 Rogers Bros. Also shows examples hollowware made in the pattern. Indexes. Out of print, to be replaced by digital version: American Silver Booklets. Collectors Handbook for Grape Nuts by Suzie MacLachlan, privately printed, 1971. Soft cover, 133 pages. Documentation of known pieces for the grape patterns in silverplate. Black and white photographs, measurements. Out of print and worth looking for. 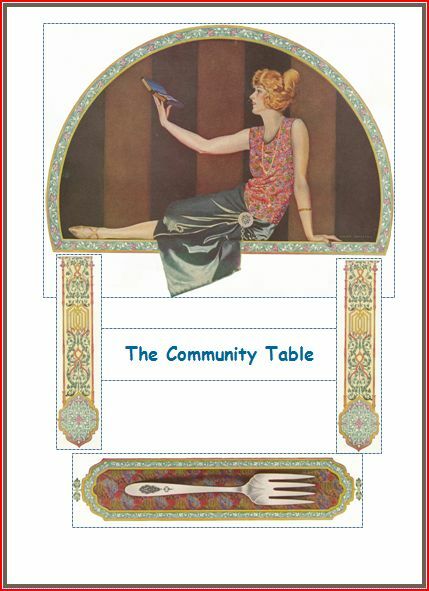 The Community Table by Nancy Gluck, Silver Season, 2004. Ring binder, 102 pages. Documents flatware, hollowware, china, and crystal made in seven Oneida Community silverplate patterns between 1917 and 1936. Out of print, to be replaced by digital version: American Silver Booklets. Silver Plated Flatware Patterns by Fredna Davis and Kenneth Deibel, Second Edition, Bluebonnet Press: 1981 [out of print]. Hardbound, 709 pages. Pattern identification with line drawings of the patterns and reproductions of interesting documentary materials. Silverplated Flatware: An Identification and Value Guide by Tere Hagan, Fourth Edition, Collector Books: 1990. Large format paperback, 372 pages. Pattern identification with clear line drawings of the patterns and very good indexes for marks and manufacturers. Silverware of the 20th Century: The Top 250 Patterns by Harry L. Rinker, House of Collectibles, 1997. Large format paperback, 223 pages. A comprehensive listing, with values, of the 250 best-selling patterns at Replacements Ltd. Includes sterling, silverplate, and stainless steel. 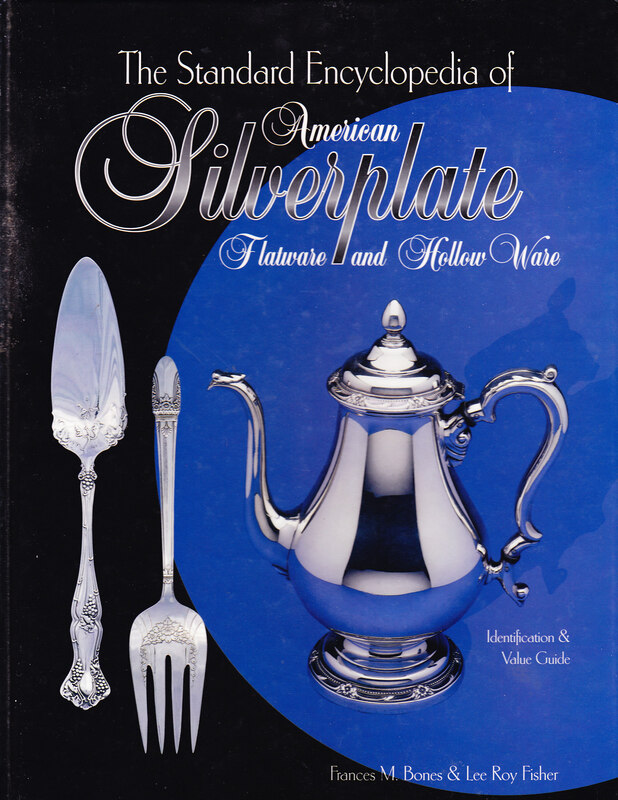 The Standard Encyclopedia of American Silverplate: Flatware and Holloware by Frances M. Bones & Lee Roy Fisher, Collector Books, 1998. Hardbound, 445 pages. A compendium of catalog pages for silverplate patterns; shows both the flatware and hollow ware made in some popular patterns. Needs an index and table of contents. 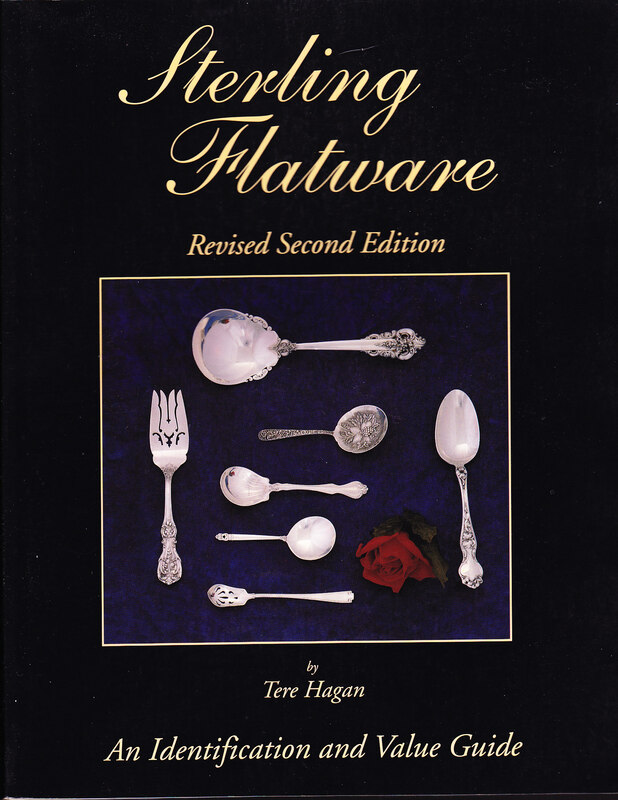 Sterling Flatware: An Identification and Value Guide by Tere Hagan, Second Edition, Tamm Publishing Co.: 1994. Large format paperback, 312 pages. Pattern identification with clear line drawings of the patterns, manufacturers’ marks, indexes, and values. The Vintage Pattern of Silverplated Flatware by Nancy Gluck, Silver Season, 1995. Spiral bound, 106 pages. Lists, describes and illustrates all known flatware pieces made in the Vintage silverplate pattern by 1847 Rogers Bros. Indexes. Out of print, to be replaced by digital version: American Silver Booklets. American Silverplate by Dorothy T. and H. Ivan Rainwater, Schiffer Publishing, 1990. Hardbound, 480 pages. History of silverplate with color plates, line cuts, black and white photographs. Touches on technology, stylistic changes, documentation for both holloware and flatware. Century of Silver 1847-1947: Connecticut Yankees and a Noble Metal by Earl Chapin May, First Edition, Robert M. McBride & Company: 1947. Hardbound, 388 pages. History of The International Silver Company and its predecessor companies, starting with the Rogers Brothers in 1847. Black and white photographs, diagram of the family of International companies. Long out of print, but look for it. 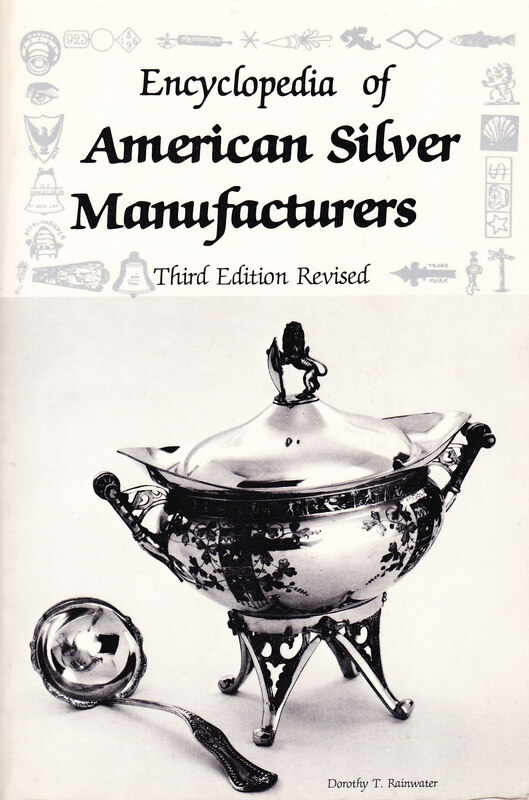 Encyclopedia of American Silver Manufacturers by Dorothy Rainwater, Third Edition, Schiffer Publishing: 1986. Soft cover, 266 pages. Descriptive entries for 1400 American manufacturers of coin and sterling silver, as well as silverplate. Marks shown. Black and white photographs, glossary, bibliography. 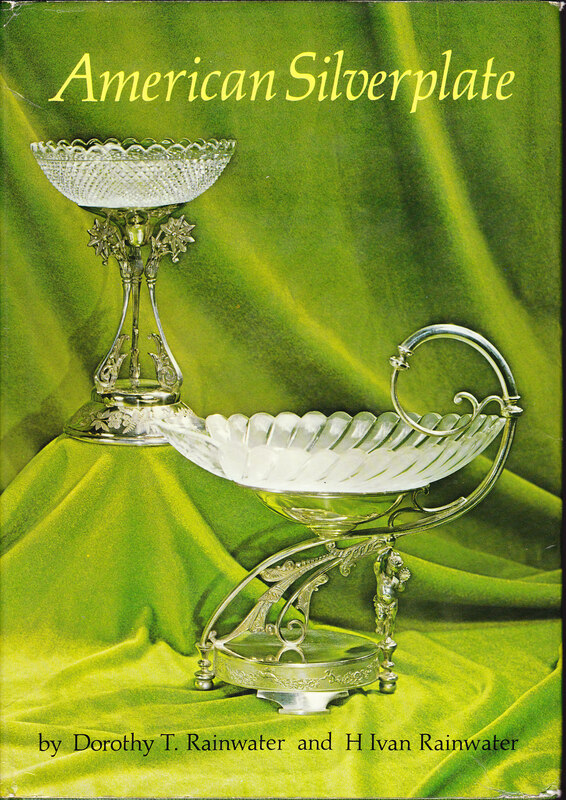 Gorham Silver 1831-1981 by Charles H. Carpenter, Jr., Dodd, Mead & Company: 1982. Hardbound, 332 pages. History of the company and its people, including its designers. Excellent appendices on marks and patterns. Black and white, color photographs, reproductions of documentary materials. 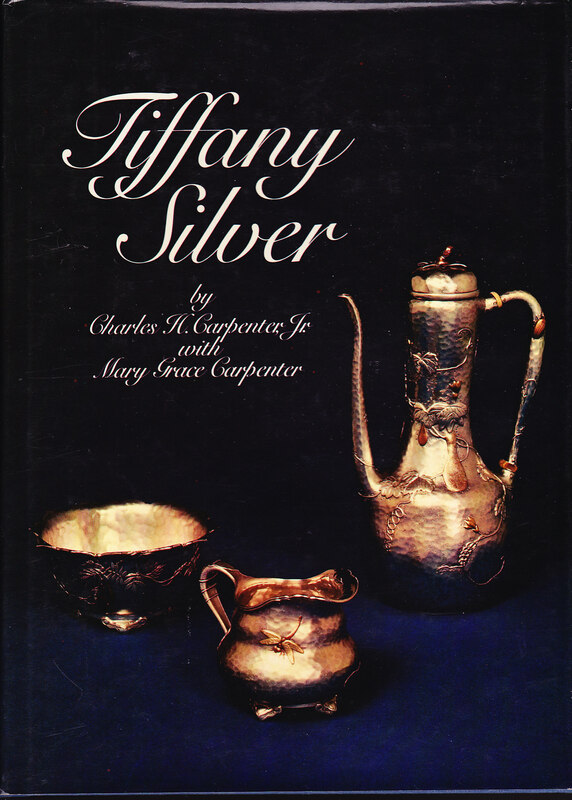 Tiffany Silver by Charles H. Carpenter, Jr., and Mary Grace Carpenter, Dodd, Mead & Company: 1978. Hardbound, 196 pages. History of Tiffany silver, including holloware, flatware, presentation silver, designers, design influences, and marks. Black and white, color photographs, reproductions of documentary materials. Oneida: Utopian Community to Modern Corporation by Maren Lockwood Carden, Harper Torchbooks: 1971. Soft cover, 228 pages. Meet John Humphrey Noyes, perfecter of “complex marriage” and Oneida silverplate. Black and white photographs. The Rituals of Dinner by Margaret Visser, Grove Weidenfeld: 1991. Soft cover, 432 pages. Why table manners? Choosing and using the “right fork” is just one link in a long chain of rituals surrounding what we eat and how we eat it. Savory Suppers and Fashionable Feasts: Dining in Victorian America by Susan Williams, Pantheon Books: 1985. Hardbound, 335 pages. Necessary background for understanding Victorian silver, seen as implements for middle-class dining. Covers both holloware and flatware. Black and white illustrations, including documentary materials. Click on American Silver Booklets for a list of digital publications available. I want a book that tells me what my flatwear pieces are. And shows many serving pieces and what used for and what they look like. 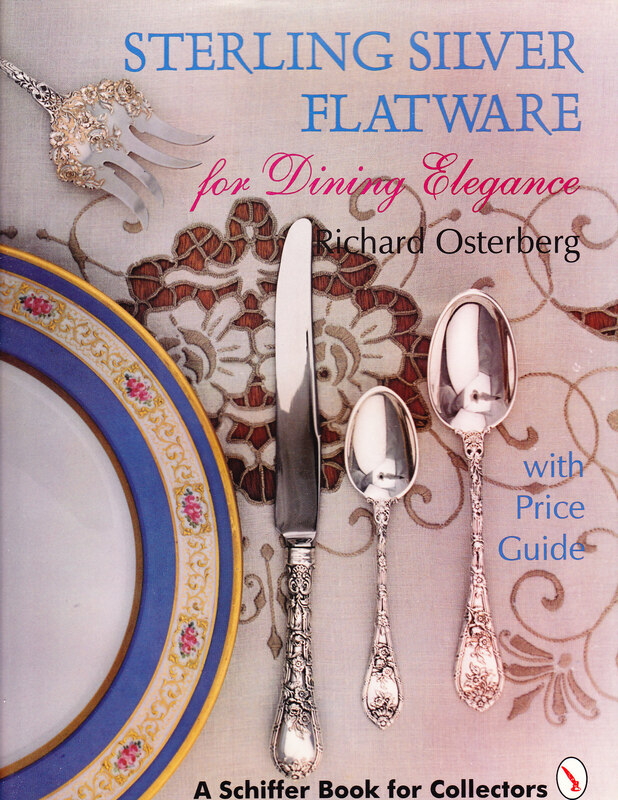 The best book I have found for identifying various flatware pieces is Silver Flatware Dictionary by Osterberg and Smith. If it is not in print you can probably pick up a used copy. My silver booklet Identifying Flatware Pieces may also be helpful. It is free on line and here is a link: https://onedrive.live.com/?authkey=%21AHPQyH2rMGP5Z_8&cid=B5DA1F30D774D943&id=B5DA1F30D774D943%21842&parId=B5DA1F30D774D943%21827&o=OneUp. I was unfamiliar with one of the books you included in this post ” Silver Plated Flatware Patterns ” by Davis and Deibel. I recently bought a capy and what a wonderful book it is…709 pages chock full of patterns and other great info. Thanks very much for mentioning this book otherwise I most likely would never have known it existed! I’ve been browsing on-line more than 3 hours lately, yet I by no means discovered any fascinating article like yours. It is pretty worth sufficient for me. In my opinion, if all webmasters and bloggers made good content as you probably did, the net will probably be much more helpful than ever before.